Last month when I was talking to David Kirkpatrick, he expressed a need of a Group Control in Facebook, which will enable the user to choose what gets shared and with whom. Today, Facebook has introduced tools to give users more control over personal information and let them set up cliques of friends. It’s a simple way to stay up to date with small groups of your friends and to share things with only them in a private space. The default setting is Closed, which means only members see what’s going on in a group. Using this, you can choose to share your personal album only to your family members. You can also group chat with members who are online right now. You can even use each group as an email list to quickly share things when you’re not on Facebook. The net effect is your whole experience is organized around spaces of the people you care most about. An Award winning blogger, Amit Agarwal has written on the benefits of Facebook Groups on his blog – Digital Inspiration ‘Lablol’ . Do Read the same for more information. 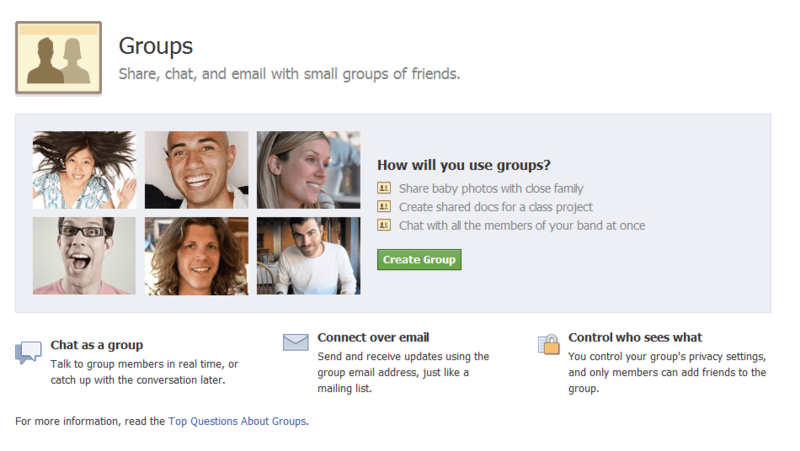 ﻿On your web-browser, goto this url – http://www.facebook.com/groups/ ; If you have already logged in, you will be seeing this below screen. 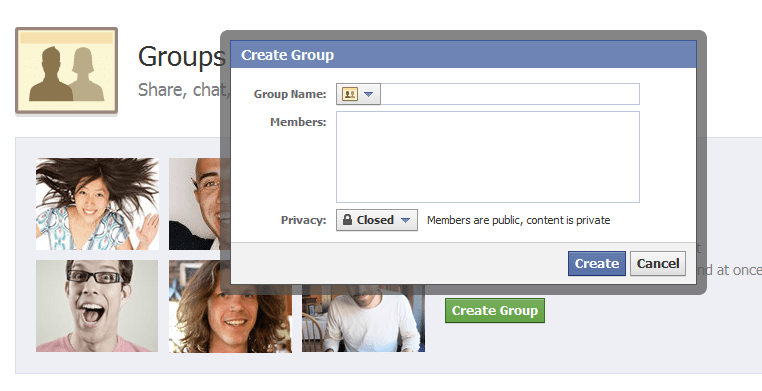 On Clicking the Create Group Button, you will get an option to create and configure your group. A point worth a mention is that, you can configure the privacy of this group., on where you can choose the members and content to be public or private. Once you do all the settings, and hit the create button, You will see this below screen. Now, you can add or remove friends, share content, pictures, links etc.. only to this group. and hence., making it Secure and Private..! Posted in General, IT News, Tech Information and Analysis and tagged facebook, security. Bookmark the permalink. how can i enable group chat . disable group chat how i enable it ?? ?